I have found some more info on the Saab Sport I picked up a few weeks back. 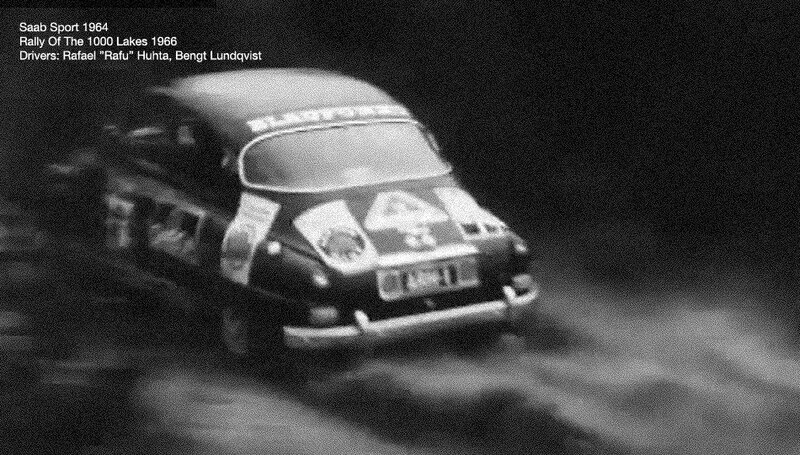 The photos are from the 1000 Lakes Rally of 1966. The original owner and driver was Artturi Rafael Huhta (or “Rafu” Huhta as he was usually called). 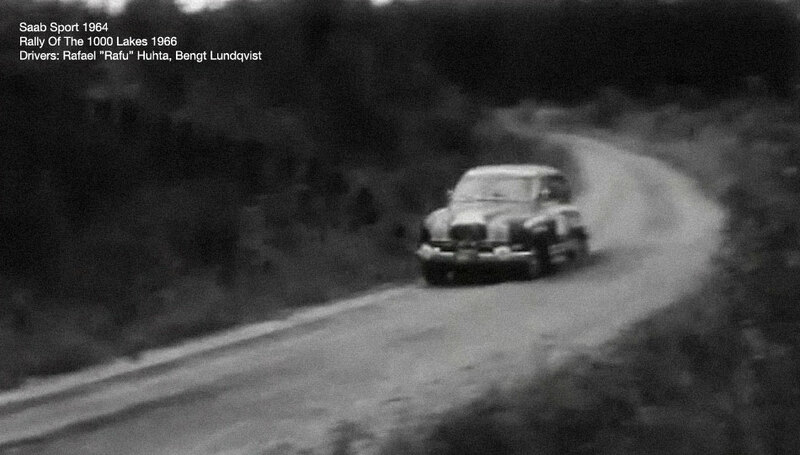 The co-driver is Bengt Lundqvist. 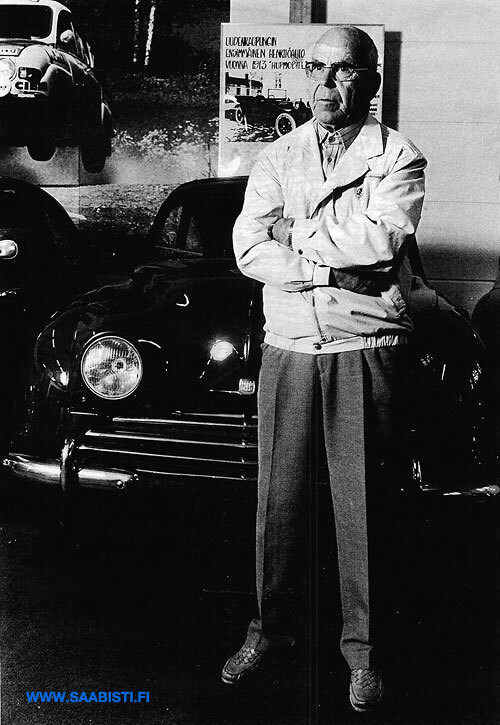 Rafu worked for the Finnish Saab importer and dealer Scan-Auto and had excellent connections all around the “Saab-sphere”. He collected an amazing collection of historic Saabs and established the Saab Museum (Uusikaupunki car museum) here in Finland. The collection is easily on par with the official Saab museum in Trollhättan, Sweden. In addition to this he had some very well-known friends, such as the Prince of Sweden and Juan Manuel Fangio. I also found some archive film material of the 1966 competition. The Sport is seen on several occasions on that clip, so I attached a few still image captures.